Plastics are widely used in the Food Processing Industry. FDA approved materials play a critical role in the transportation, packaging and cooking of foods. 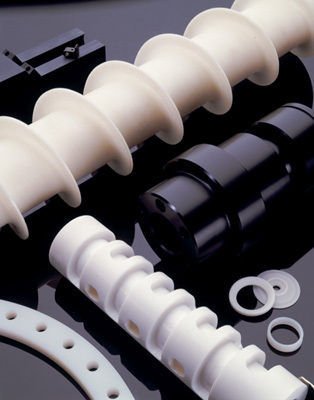 Materials like Acetal, Delrin, UHMW, Ertalyte, and Radel have a unique combination of low moisture absorption, chemical and abrasion resistance, and non-staining characteristics which are desirable in the CIP (cleaning-in-place) process.